Tea made from BIO hemp relaxes the body and mind. It supports immunity, healthy digesting and good sleep. BIO Hemp leaves and buds (flowers, leaves, and hemp seeds) were grown and hand-picked in ecological agriculture of the Czech Republic. Tea does not have any psychoactive effects. It contains CBD (cannabidiol) and other cannabinoids. Prepare as a regular tea – pour about 3dl of boiling water over 1tbsp. of tea and let it soak for about 3-5 minutes. For a stronger tea variety, you are going to need 2g of buds and leaves, a teaspoon of butter and honey or sugar as you prefer. Put the hemp mixture in a baking tray and leave it for 10 minutes in the oven on 100°C. Then place the hemp into a metal pot, pour some water over it, add butter and cook for about 15 minutes. Drain through a screen and eventually, sweeten. In case you sweeten your tea with sugar it is possible to store the tea in a tightly closed bottle for a week in the fridge. You can also use this tea as a seasoning in cold or warm cuisine while cooking. Fry it in butter or oil while preparing dishes. The healing elements dissolve in fats and will be released during the cooking of your dish. 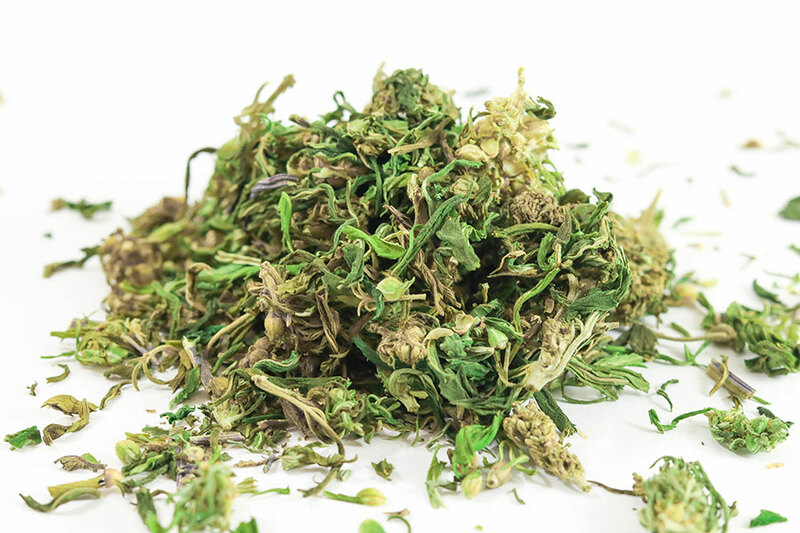 Hemp is used the same as oregano or thyme. Cannabinoids are not only substances that are to be found in the hemp plant but also those that our organism creates by itself (endocannabinoids). These substances keep our metabolic system in balance. Cannabinoid system influences practically all functions of our body and opens our consciousness to new thinking patterns. Cannabinoid system helps us to accept changes gleefully and peacefully and adjust to them, be open to them. Newborn babies get endocannabinoids from their mothers during breastfeeding, in order to develop taste and learn how to eat. 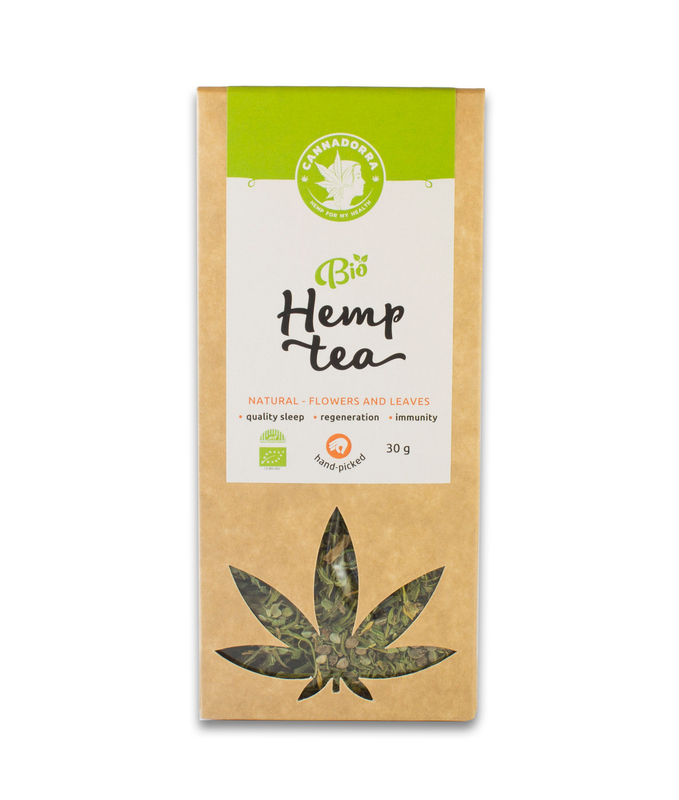 According to the SZPI decision - State Health and Food Inspection, hemp teas, sold by Zelená zem s.r.o., was registered pursuant to § 3d (1) b) Act No. 180/2016 Coll., on Food and Tobacco Products and on Amendment and Supplementation of Certain Related Acts, as amended by the Ministry of Agriculture as a safe food supplement, which is governed by Decree No. 58/2018 Coll. - Decree on food supplements and food composition. The THC - Tetrahydrocannabinol content and oil dosage are referred to EFSA - the European Food Safety Authority 2015, specifically the Acute Reference Dose (ARfD) to meet European recommended limits. 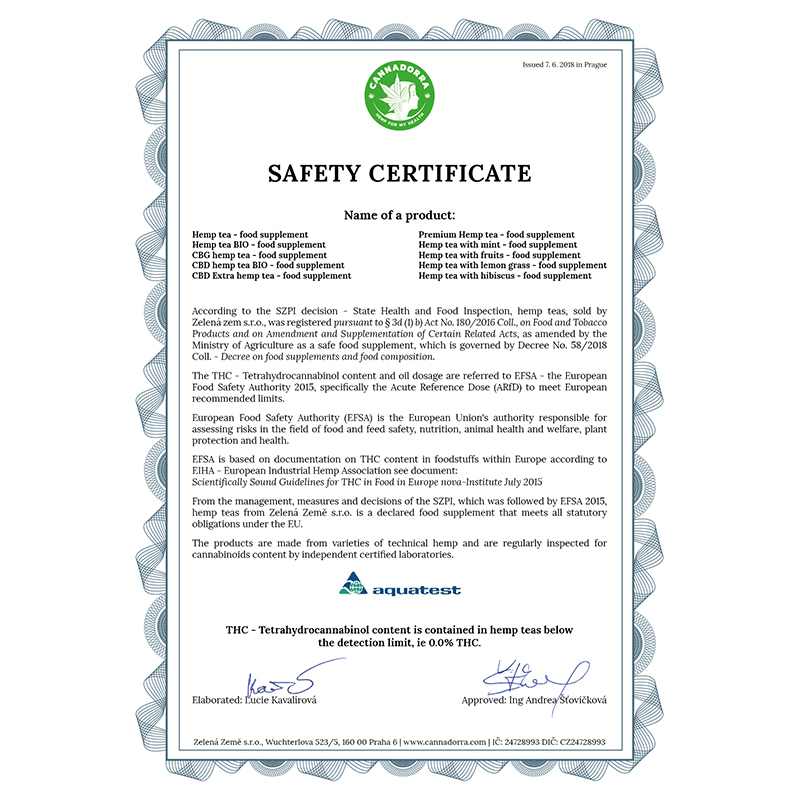 European Food Safety Authority (EFSA) is the European Union's authority responsible for assessing risks in the field of food and feed safety, nutrition, animal health and welfare, plant protection and health. 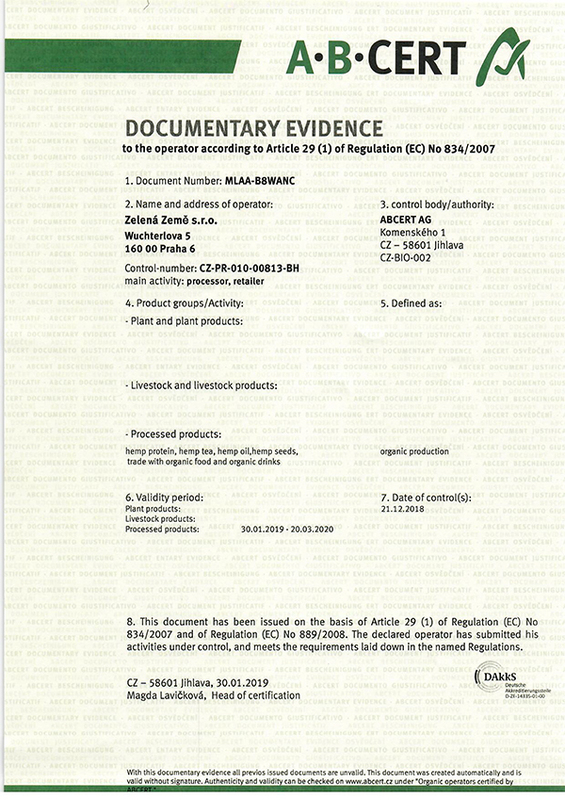 EFSA is based on documentation on THC content in foodstuffs within Europe according to EIHA - European Industrial Hemp Association see document: Scientifically Sound Guidelines for THC in Food in Europe nova-Institute July 2015 From the management, measures and decisions of the SZPI, which was followed by EFSA 2015, hemp teas from Zelená Země s.r.o. is a declared food supplement that meets all statutory obligations under the EU. The products are made from varieties of technical hemp and are regularly inspected for cannabinoids content by independent certified laboratories. THC - Tetrahydrocannabinol content is contained in hemp teas below the detection limit, ie 0.0% THC. I like the hemp tea because it helps me against my anxiety and fear and I sleep better after it. I have fibromyalgia for 2 years and I have depression and often sleep disorders. Now I started using hemp oil and hemp tea that helps me very well against sleep disorders. Hemp oil I use helps with my depression. I'm excited because they both really help me and I feel better about them. Use the conventional hemp oil for cooking and for anything else, e.g. Salads with hemp seeds oil. I sprinkle the hemp seeds with e.g. over the salad or muesli and the tea I drink after a stressful day before I go to bed. I am enthusiastic about these products. Such an effective and great tea! He relaxes me especially in stressful phases and it has also very good taste. Hemp is really a wonder plant and we should all use more of it. Not only nutritionally but also in all other areas, we can benefit from this plant. The quality of hemp health is also really very good! I have been suffering from hay fever and migraine and tinnitus for more than 20 years. Since I regularly drink hemp tea, I hardly need any more painkillers and also less antiallergic drugs. Incidentally, tea helps my son with headaches and school stress. I can only recommend the tea with 3.3% CBD! With honey and lemon, he is really delicious! I've been looking for something for years to help with my sleep, the thyroid gland, and my depression. And now, thanks to hemp tea, I have these problems under my control. After regular drinking of hemp tea, I stopped taking menopause medicines. Spasms, nervousness disappeared, and I'm finally going to sleep for a long time. I feel relaxed and balanced. I also like to prepare dishes with hemp protein, hemp seeds oil and hemp seeds. My granddaughter likes hemp seeds. Another popular product from Cannadorra is hemp ointment with chili. Every day I wipe off my tired feet and sore knee after all day. I have diabetes for years and I have to say that after taking the CBD oil and tea, my condition has improved, and doctors are surprised. Tea is also good to enjoy before bedtime, it helps me to sleep all night long. I recommend to all.